Starting out trading and dont know how to make Profits? Well, then you are one among many people in the same situation. A methode to financial sucess in trading without having to use their brains. without having to possess the necesarry knowledge to participate in markets. without having to wonder or worry if his/her “strategy” is right or wrong. Without having the need to think if he/she or hers/his “strategy” has the “edge”. For this purpose i have taken myself 1 day of time to create a simple and easy strategy and a strict set of rules, which - if you follow them consequently - your account is guaranteed to grow over the long run. It is a variation and combination of several very successfull trading tactics that have stood the test of time over and over again. I adjusted it to the need of day traders in the form of “time” (meaning the signals come quicker). 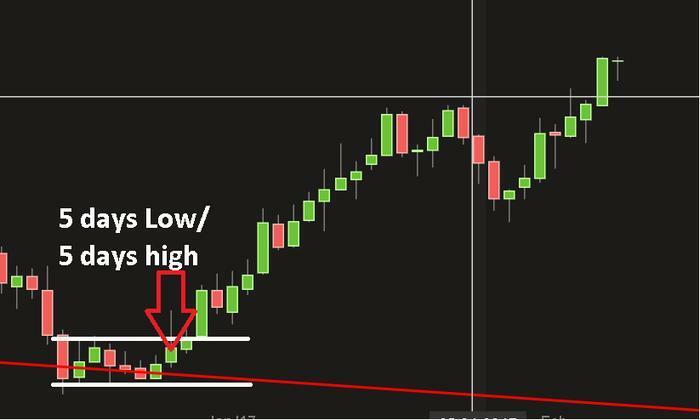 [li]It is a strategy that keeps you 24/5 in the market and does not allow you to be “nervous” of missing out a trade. [/li][li]A strategy that has very strict and very precise defined entree/exit points and Stop Loss points. [/li][li]A strategy which is designed to keep you in a market when it is trending and keep you out if it is not trending. 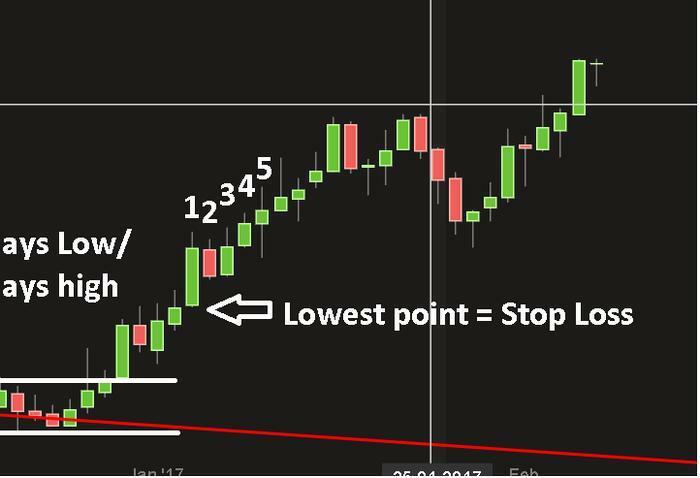 [/li][li]A strategy which is designed to keep you in a profitable trade as long as possible and force you to exit unprofitabe trades. [/li][li]A strategy which is so simple that even (my guess) a 13 years old teenager should be able easily to follow it and make profits over the long run. [/li][li]A strategy that does not use contradicting indicators or oscilators. [/li][li]A strategy that leaves no doubt of wether going long short or staying out of the market. All You need is a clear chart and a trending market. The strategy does not necesarrily produce losses in ranging markets, but it does not perfom any surpluses either. So in a ranging market it is likely that you will have minimal losses which, compared to the gains in trending markets, are no harm to your account. Ideas, suggestions and critiques welcome. But if your critique or suggestion is that i should learn englisch- then facebook/twitter and jobcenters is more the website you should gift your everyday attention to. As the explanation says: the definition of a trend is varying when the time frames are changing. [li]In the ten years chart we have 2 big trends. First a big up trend then a big down trend. Those are long term trends. [/li][li]In the short term chart we have up and down trends (which consists only of the -intermediate up trend of the 4 years chart). Those last a few weeks or months. 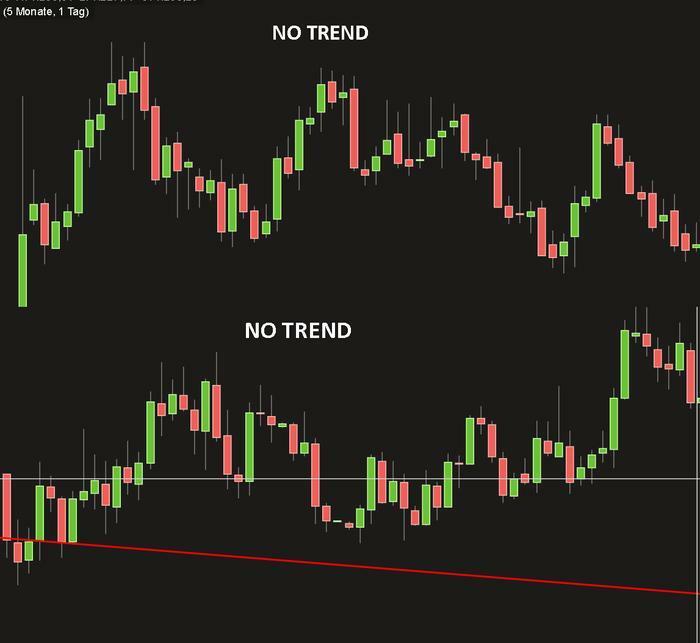 Those are considered short term trend. This scaling can be done down to the 1 minute chart and you will find a gazillion trends and trend less phases. We focus on the daily only and the trading method focuses on the closest daily trend. Which is the short term trend in a years period. [li]The scaling down from high trend to intermediate and short term reveals that trends are constantly interconnected. 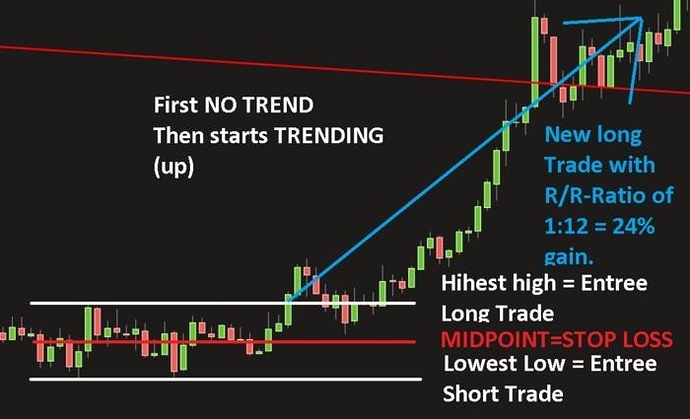 In the short term picture you see a lot of ups and downs and trend less times, in the next bigger picture those trend less and ups and down are only one or two legs of the trend shown in that next bigger chart. same goes for the connection of 4 years and 10 years chart. [li]Trends exchange itself constantly the lower time frame you go. what is considered a new trend in the 4 years chart is in the 10 years chart only a violation of the prevailing trend and yet forms no new trend. Please do not try any time frame below the daily chart. I did not had the time to test on time frames less than daily charts. From a first glance into a few securities on the 4-hours charts i saw a tendency of too much volatility which takes you out of the trade too often. The advantage of using daily charts is as well that you pay less commission because you enter fewer positions. But if you think you will be bored and will have nothing to do all day then you are wrong. I will tell you later why you will be busy daily and for several hours trading this method. All securities with enough volume to not be easily manipulated or where small transactions create a big move. I will start here with point 2 instead of point 1 of how to trade this system.- out of reasons for simplicity and clarification. You count. Thats all, you count and manage your automated positions. Automated you ask? why Automated? (please refer to “Risk management and diversification” - because, once you are in a position your future actions are already planned and SETTED UP. Setted up in the way that you already entered the market orders for the future. You already entered the stop loss. the last 5 days matter. The low of the last 5 days is your stop loss. Your stop loss is the entrée order for a short position. This means if you are doing it right then in the very same second a long gets closed automatically by your stop loss your trading desk automatically opens a new short position. Suppose that the days after the RED ARROW do not exist. You don’t see them because the day of the RED ARROW is today. Today (every day) you cont back the last 5 daily candles. You identify the lowest point of the last 5 days and you identify the highest point of the last 5 days. Those 2 points serve as your entrée into trades. On the highest point (price) you set up an automated entrée order. You calculate the pip value between entrée point and stop loss and then you set the size of your position according to the 2% rule (Refer back to “Risk management and Diversification”). This means that in the difference of the entrée point and the stop loss point you must not lose more than 2% of your account size. You do the exact opposite in trading direction. You again count the last 5 days and have the high and low. On the lowest point you set up a SHORT position and the Stop loss is the highest value of the last 5 days. Thats it. This is your job for this pair. You have successfully finished your job for this security for today. Tomorrow it starts over again, the same calculation in the very same style - no matter if your trade has been triggered or not. Once it gets triggered you adjust the stop loss figures (again last 5 days lowest point) and the contra trade figures (again, you constantly - this means 24/7 - always simultaneously have a contra trade entrée setted up. This means that every time your long has been stopped out - the very same second it gets stopped out your system opens a short position. 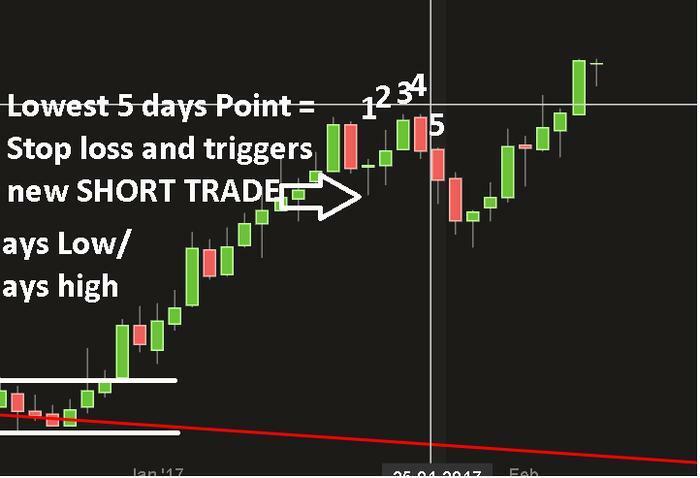 This means that if your short trade has been stopped out - the very same second it gets stopped out your system opens a new long position. Your daily job (less than 5 minutes per security) is to adjust the numbers to the new day which is happening today. Example from Post number 1 continued and expanded. This is the last few weeks Gold action (XAU/USD). This very last turn no-one expected to be this precise and strong. Many people got caught in losing positions after opening new short positions in the down move. We have earned already quite nicely 20% on the down-move. Our system now starts working without consideration of YOUR OPINION. At the end of the move the last few days have been barely moving and ur system smells a possible return. The system is about to launch a new position. And it launches it. Without your participation or giving a 5cent about your opinion that it must continue further down. You’re still long. You are winning. You are earning. You do not close the trade. Since we don’t use indicators or oscillators there will be no contrary opinion onto why you should take profits now. Unless the 5 day rule (the stop loss which is at the lowest price of the last 5 days) is not violated you do not have any reason to close your position. Everything is perfectly fine. You are winning, so lay back and enjoy the rising profits daily. the last few days have been choppy and according to the newest highs and lows you adjust your stop loss to the newest low (that is your daily job, you must do that every day). So today your system closed a profiting long and opened a new short position. Your job now is to enter a new long position at the exact value of the short positions STOP LOSS. Your short was a false signal and it got closed and a new long position has been opened. Your loss is 50% of initial stop loss (since we adjust the stop losses to the highest high of last 5 days - this means that if day 6 is higher it does not matter, it is out of the equation and the stop loss is lower than the high of day 6) simply because we adjust the stop losses daily the system took you out of the trade very early. Earlier than you would do it yourself if you were trading manually. New long has been established which is in profit in the day after its opening. the week after the new long opening already is in profit with a RR-ration of /1 =2% new profit. Leaving us with a profit of 11% with only 3 trades. The identification comes back to the trend analysis we have performed in the first page (please refer to Trend classification and Analysis). We go from the high time-frame to the lower time-frame. 10 years in daily charts = trend = yes/no? The direction is not important. it is only important that we see that it is moving. And again. The 1 Years chart = Trending. We only trade in hot securities. For a security to be hot it must be trending in at least 2 of the 3 long term charts. All 3 charts are important but the 1 year chart is the most important for us to chose a market. If the 1 year chart is not showing any interesting trends it is a semi hot market and we enter it upon specific set-ups. Now we look for our entrée. 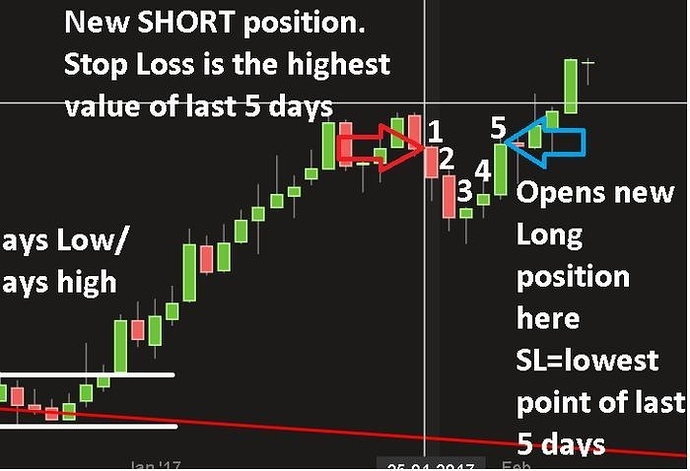 If the chart ( year chart) is already in a trend (this case now trending downwards - SHORTS) you simply enter immediately and put the highest high of the last 5 days as your stop loss and immediately set up a long trade on the stop loss of the short. That’s easy work. You only need to practice your “trend recognition skills”. But we do have a issue with markets which do not show a clear trend in then 1 years chart. It simply means there is no trend visible. Does that mean we skip this pair and stop looking at it? We keep looking at this pair every day. We give it a 2 minute attention every day. We want to trade and we want to earn. So not observing a pair that might be a possible good run is contra productive. How do we define that it started trending again? [/li][li]We don’t think about that at all. [/li][li]We don’t try to get clues through Oscillators or Indicators. [/li][li]We don’t look at news or read articles of random “Analysts” or “journalists” who think this could/would happen sooner or later- or whatever. All those things above are only distractions. nothing else. What we do: we use the “Entrée identification method” of our system. [li]You count the last 40 days. Note the highest high and the lowest low of these 40 days. [/li][li]On the lowest low you set up a SHORT ENTREE. [/li][li]On the highest high you set up a LONG ENTREE. [/li][li]The stop loss is setted up on the exact midpoint of lowest low and highest high. Because we love trends. All trends. And we trade only in trends. A breakout out of a existing trend-less phase or a ranging market usually happens on heavy volume. Intense buying/selling pressure. Such breakouts are followed by heavy pressure into the new direction because no-one wants to come late and everyone wants to earn. Such breakouts are a money making machine simply because the entrées are low risk but the potential move after the breakout is huge and very profitable. Once the breakout has happened (moved above or below the low of the last 40 days) we stay in the market. No matter the outcome of the first trade. It is very possible that the breakout towards up was a whipsaw, this increases the probability that a breakout towards the downside is going to happen immediately after. So if we lose the first trade we go back to our standard 5-days trading system in which only the last 5 days matter (the 40 days system is now obsolete and will not be paid any attention to). So if the first (lets assume long) long trade after the breakout fails and creates a loss then we immediately enter a short trade at the stop loss of the first long. After that we use the 5 days method again -as described above- to guide the direction we are trading. This means you are now in the market 24/7 again. It is a start of a new trading in a trending market. Markets turn from HOT into Semi-Hot and Cold from time to time (now i see it would be better to have used the word “warm” rather than semi-hot, but screw it i’m too lazy to change it again). We must leave when a market is not hot any more. This is the easiest and most simple part of this trading strategy. We have been trading in the market with the 5-day method. 3 consecutive trades have been closed at a loss or profit of less than 1/1-risk-reward ratio. That’s all. If that happens you go back to the 40-days breakout method. It all looks like there is not much happening because we trade the 1 day timefrae. That is because I created a system that takes off the hardest work. =Analyzing and guessing. I created this system to fullfill 1 purpose: Make people who are not able to sucessfuly operate in financial markets earn money on financial markets. The thinking and guessing and learning part has been removed to make it easy. All you have to do is follow this precise set of rules and you will earn money. Why it will not be boring after all? Take into consideration that you must pay a visit to 30 pairs every day. You have 50 “40-days breakout entree”-entree orders to manage and adjust when the time has come and 50 Stop losses for this matter. You have 5 open trades which every one of them has 2 stop losses and 1 “entree-counter-direction” =3x5 = 15 positions to update every day. Means you have to watch 30 pairs and update around 115 “commands” which you gave your trading too to command it what it has to do. And these commands have to be monitored once a day minimum and changed when necesarry. It is enough work to keep you bussy and not bored. Only thing is does not cover is “knowledge”. Enjoy, and I wish you many profits. i have taken myself [B]1 day of time to create a simple and easy strategy[/B] and a strict set of rules, which - if you follow them consequently - [B]your account is guaranteed to grow over the long run[/B]. I’m sure this will be an exciting thread full of useful advice. However, can you please tell me if the above ‘quote’ is true? It took you one day to create a system that is guaranteed to make profits? to gain the necesarry knowledge and experience to be able to create “that” system took years. To combine usefull things into one set of paper and adjust it to a trading style that differs my trading style took around 1 day- yes. What i will be posting is a tool which i am using in my trading since a long time. I use this tool which i created myself since quite some time in trading and it has helped to identify possibilities. I took that tool out of my trading style and made it a “stand alone”- trend following system and added rules which clearly define entree, exit, SL and “staying out of market”. You can classify it as a portion of my trading style which has been remodeled, other things of my trading style have been removed and then wrapped up in a set of rules which differ from the rules i am using in my trading. Once i post it (today evening or tomorrow) you are very welcome to backtest it with the support of a computer and tell me the results - since i do manual backtesting it would be very interesting to see what a computerized backtesting would reveal. That’s more or less what I thought you meant, that you had set aside a day to set out a version of your trading style in a way that just about anyone can follow. Hi there Nero and thanks for your effort and time spent on this thread. I would love to test the tool you are talking about (most probably I will do it manually too, because I don’t trust the strategy tester). Please do share out of your experience, if testing on Demo will give similar results to what you have tested in Live (I assume you are doing it on live account), or live conditions are needed? Why bro? When you’re active here on BP you know who’s worth listening to and who’s not. Let a brother do his thing. Why bro. When your active here on BP you know whos worth listerning to and whos not. Yeap, been here for a while, and you should of known it was sarcasm. But then again, your the one always pulling back the slingshot on me, expected. It is quite possible for a newbie to make profits. However, comprehensive research & retail broker data evidently states that only less than 1% of traders can really make profits. The problem, thus, don’t lie in the difficulty but in the way the average trader move towards trading. 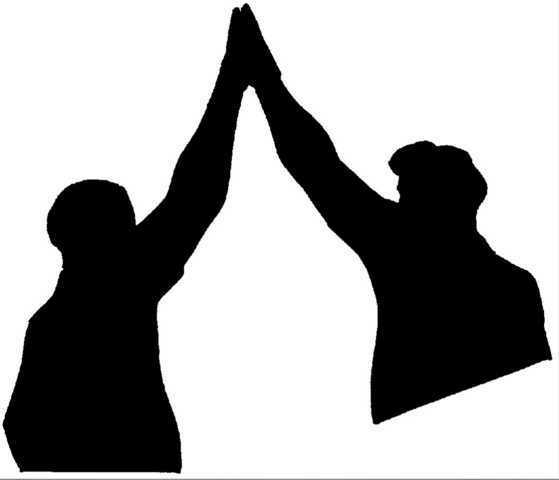 However in the end, trading is regardless of the market and is like a profession. You would not be expecting to watch some YouTube videos to become an expert. You cannot read a few articles and be ready to trade. If you actually want to follow the path, it should not be for money, but because you have passion for it. The path to be a consistent trader can be a long one. You may experience frustrations, setbacks and the times when you would want to quit. The best you can do is admit that the professional trader usually take years and you would need to treat it like business and a skills would help you to develop. I have added everything to the entire system. Its all in post 1,2 and 3. That’s a lot of time and effort you’ve put in to help folks out Turbo. Well done! even thou i know its a waist of time and effort since i know it wont help anyone, i still hope it will help one or two people. sorry for my late answare. I can not tell you this since i never traded demo accounts in my life. All i did was always live accounts. I do backtesting on paper only, and i think that paper backtesting is more accurate since you can take into consideration volatility much easier. id be happy seeing a backtest on a demo account. would be very interesting. Seems that you have an interesting system that I will try from next week on my life test account. How did this system perform last year during the Brexit vote and US election day ? I haven’t had the time to look at all charts in details because I’m working on an indicator that calculates the High and Lows during past 5 or 40 trading days and calculates the position size. Will probably post it here when ready if you allow it. How does the EURUSD perform with this system ? Is this a pair that you are trading at the moment or are there more interesting pair such as gold, usdjpy ? Those are making nice waves over the past year. I’m a little bit confused about the SL of the 40 day system. Suppose we had 3 bad performing trades with the 5 day system, then we need to switch to the 40 day system. SL in middle of High and Low. I checked a few charts. We can have then a SL of more then 500 pips. So we will have a very small position size. When our pending order gets triggered a few days later we need to follow the rules again of the 5 day system to change our SL every day. Aren’t we going then to a very small SL (5 day low), compared to the one of the 40d system ? Why start with a big SL to have it changed the next day into a small one ? Or am I reading something wrong ? You wrote that we can have only 5 active trades at one moment. Suppose we follow with this system 10 to 15 pairs. Since we are with this system 24/7 in a trade how can we keep then only 5 trades open ? Do we have to close then a few trades ? Put system on hold ? Or what do you do ? Thanks for your comments and putting this system in the forum here. I’m also interested in this, would like to see back-test results if possible? Perfect strategy for me, long term positions which I like, but daily fiddling which stops me trying to pretend I can scalp!